ASHRAE Oregon October Chapter Meeting – All Invited! 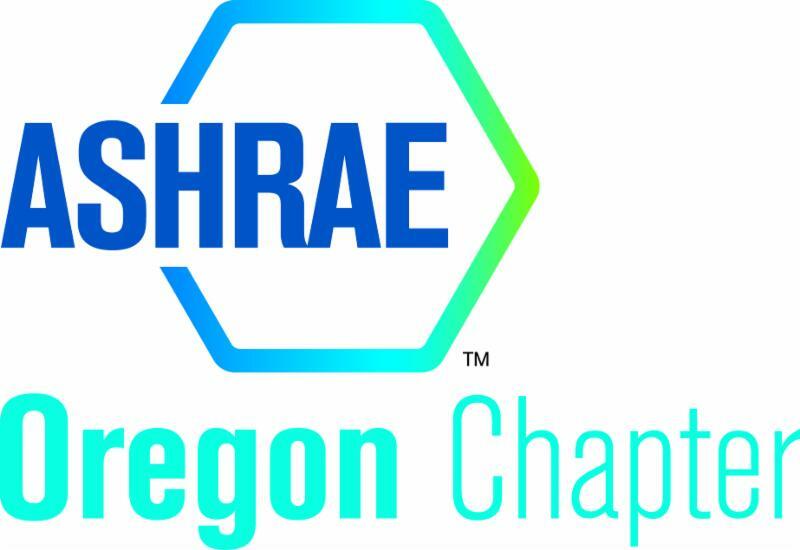 You’re invited to the October Oregon ASHRAE chapter meeting! Please join us on Thursday, October 11th, for lunch and a presentation sustainability in the built environment. 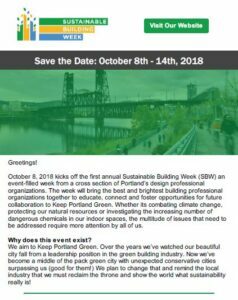 This presentation is part of Portland’s first annual Sustainable Building Week. More information on other events of the week is at www.sustainablebuildingweek.com. Technical details of this presentation will be provided soon. This meeting will be at Bridgeport Brewing. Presentation to start at noon, so please come early to socialize! As you register, please consider sponsoring a student to attend the dinner meeting. To help students attend, we work to subsidize the cost of the meeting to make it affordable. We look forward to another great year, and hope to see you October 11th! For questions about the meeting, feel free to contact Nicky Dunbar, Programs Chair and President-Elect. Check out most recent newsletter! Sept. 20, 2018: More Events Added to SBW 2018! Oct. 3, 2018: SBW is One Week Away! © 2019 Sustainable Building Week. Website by Triple Play Studio.